Has it ever occurred to you that your iPhone randomly crashed or started showing the message of “iPhone Disabled”? Well, if yes then you are at the right place, reading the right article because today we have something really special for you that can unlock your iOS device without using any passcode. We are talking about none other than the Tenorshare 4uKey that is one of the best tools that can be used on Mac and Windows too. 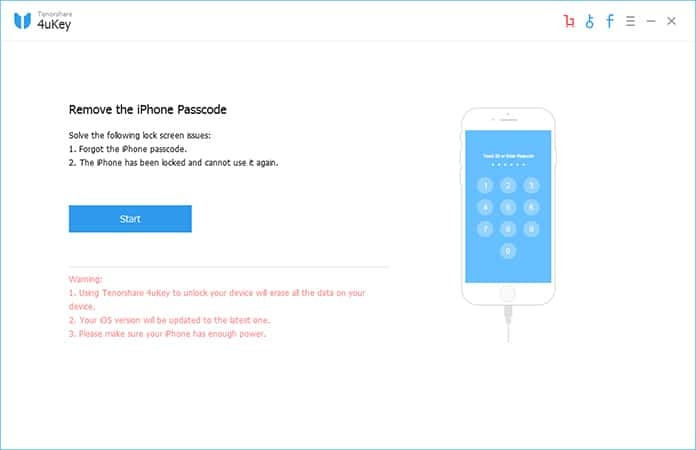 Now you no longer have to get into the complex operation of iTunes in order to unlock your handset because 4uKey will remove the passcode on your handset and bring it back to life. Recently there was a news surfing on the internet on how a 2 year old toddler locked an iPhone for almost 48 years just by entering the wrong password repeatedly. Now that is actually a scary news for every iPhone user and this news actually left quite a lot of people in confusion that how exactly can that happen. Now, even if you have a long and complex passcode on your iPhone, there can come a time when you’ll forget it and trust me that is the worst nightmare for an iPhone user. Well, on the other hand you never know if someday you wake up and you no longer remember the password of your handset and that can actually become a whole big issue for you especially if you’re an iOS user. 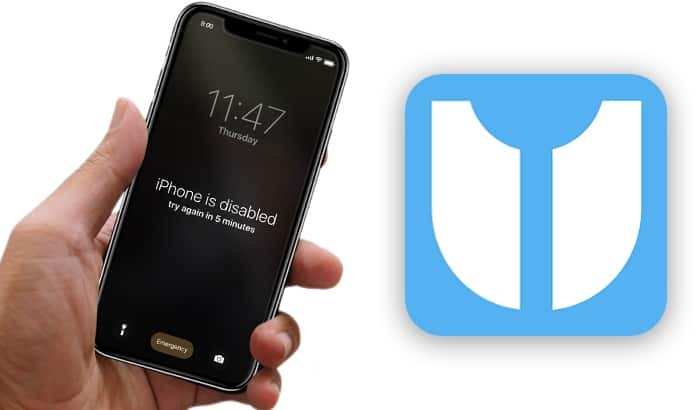 This is where Tenorshare 4uKey works, it is one of the best and the most used smart iPhone passcode unlocker that can save you from the drill of unlocking your iPhone if it ever gets disabled. 4uKey is the best software that can actually save you from the hassle of unlocking your disabled iPhone without putting in any passcodes. With 4uKey, know that your password is just a sum of a few numbers and no matter how tough or complex your password was, 4uKey can easily break it for you even if it was your Touch ID or your Face ID. Now the best part about this software is that it can work on all the iPhones whether it is iPhone 8, 8 plus or iPhone X, with 4uKey you just have to sit back and relax while your handset gets unlocked without any hassle. Moreover, with 4uKey you will be able to remove all the data of your handset and it won’t be recovered no matter what recovery application is used. It’s like you will have a new iPhone in your hand with default settings and everything in place like it was when you bought it. 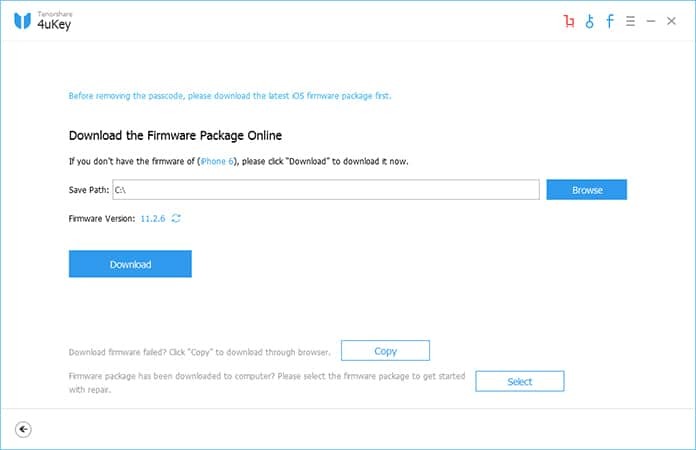 Step 1: Firstly you have to download 4uKey for Windows or Mac, whatever you have and then after downloading you need to open it on your computer. Step 2: Now after opening the software you then need to connect your iPhone or iPad with the computer and use the USB cable to operate it. 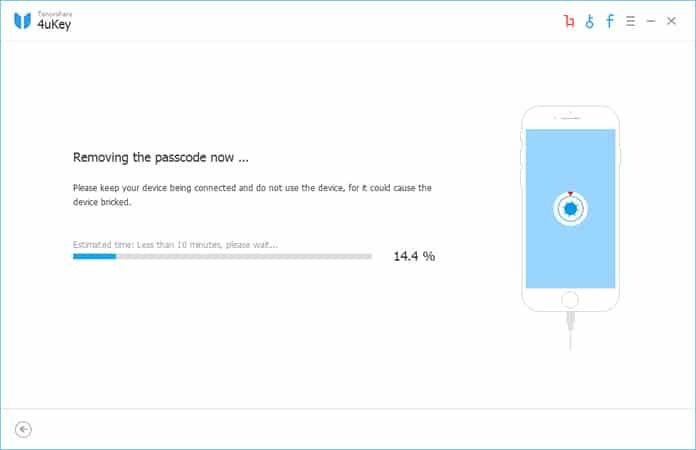 Step 3: After connecting your handset you then have to click on the option that says “Start” in order to remove the passcode on your iPhone. Step 4: Now download the latest firmware of iOS and then add it to Tenorshare 4uKey. Step 5: After that click on the option that says “Unlock Now” and then your iPhone will start factory restoring without any passcode. 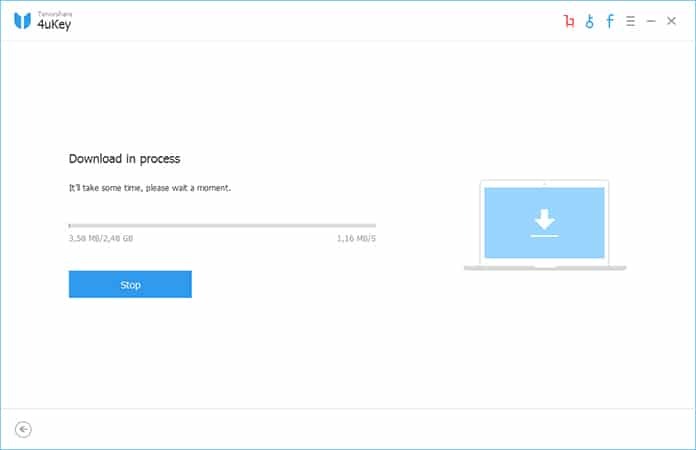 Step 6: Keep your device connected to the computer till the process is completed. These are a few steps you need to follow in order to unlock your iPhone/iPad. Now there are a few things you need to keep in mind before starting this process. All your data will be gone during the process so make sure you have a backup of it already. Your phone will be updated to the latest iOS version. Make sure that your handset is charged or has a battery percentage above 50. 4uKey download a latest ipsw file for your iDevice and deep restore it to remove the passcode. 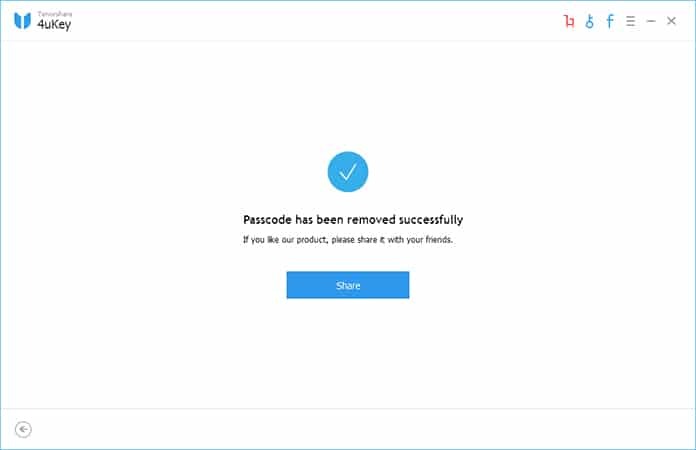 Once the process completed, all data will be erased. Compare to iTunes, you have no need to tap “Trust” on your iDevice (you cannot tap Trust if you forgot passcode). The Apple ID cannot be removed in this process. You still need to log in the apple id if this device was enabled “Find My iPhone”. 4uKey is fairly priced because the services with which it comes are really amazing. Moreover, as far as the availability is concerned, 4uKey is available for both Mac and Windows and it can unlock any handset running on iOS 11 or later. It comes in different packages, like the subscription for one year for Mac is for $59.95, the family pack comes in $79.95 and the lifetime package is for $349.95. So, yes again, it is an amazing software and it can save you from a lot of trouble and struggle too.